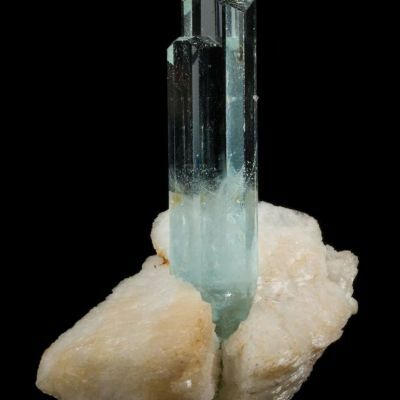 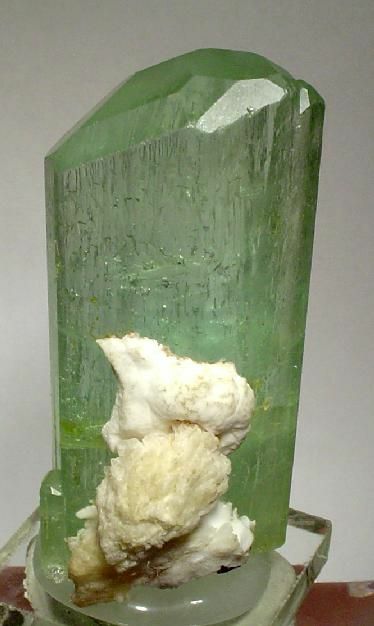 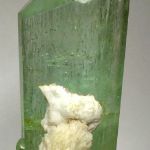 Gorgeous, sea-green beryl crystals of this amazing quality are very rare from the famous Teofilo Otoni area of Brazil. 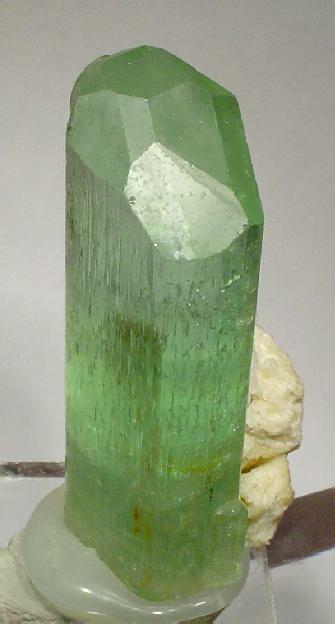 Specimens like this came out in the 1960s or early 1970s, with none since. 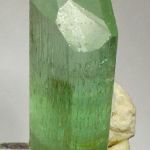 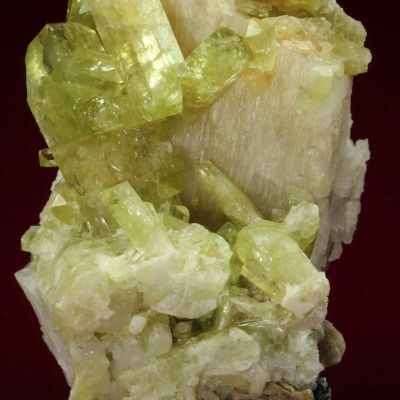 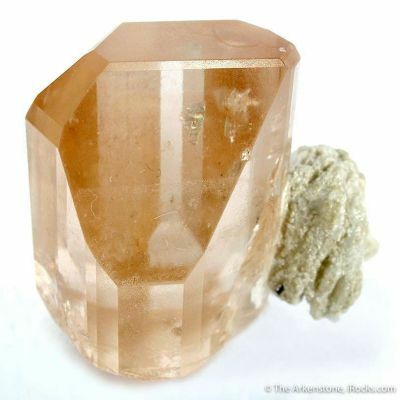 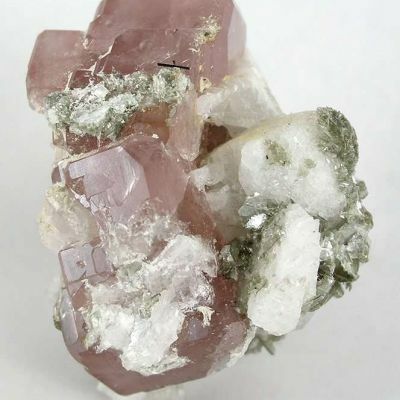 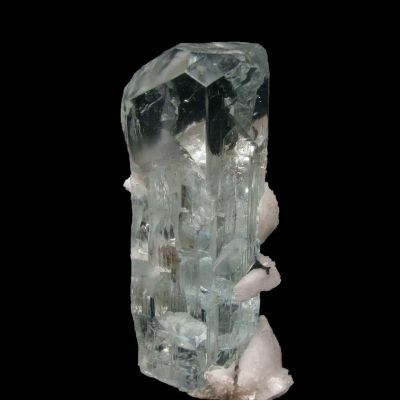 Most went to Europe, Germany in particular, and were cut for the gem trade as this was before aquamarine could be had from Pakistan in more quantity. 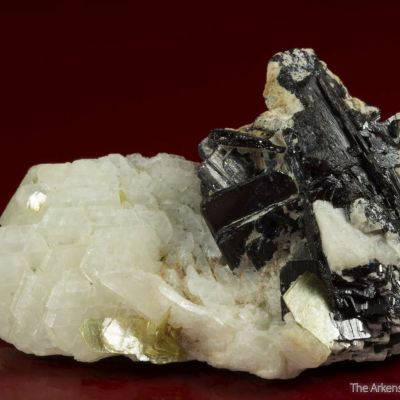 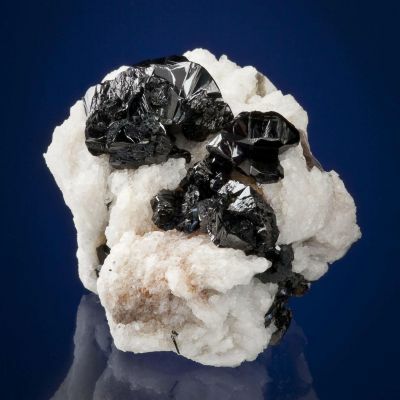 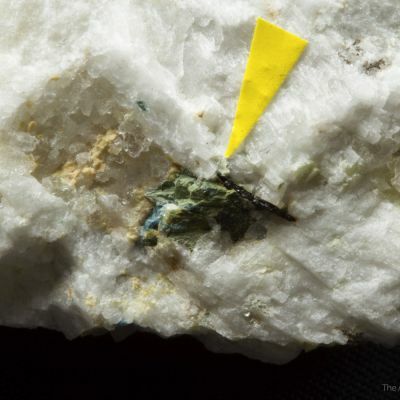 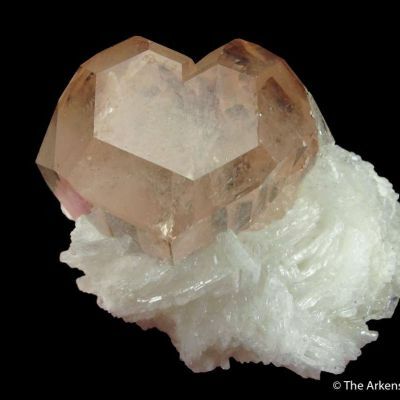 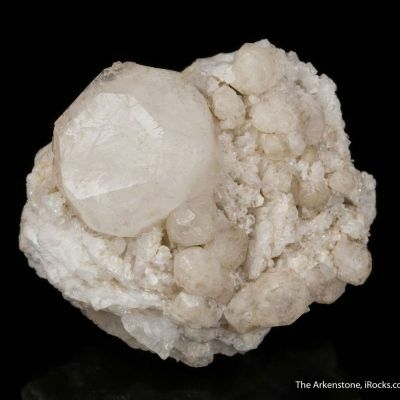 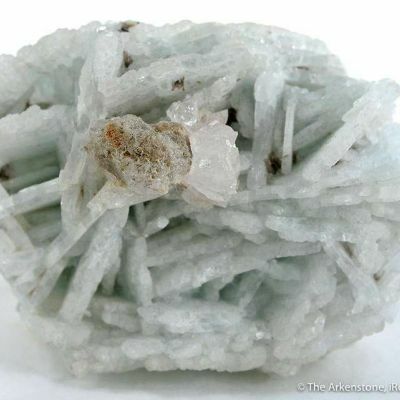 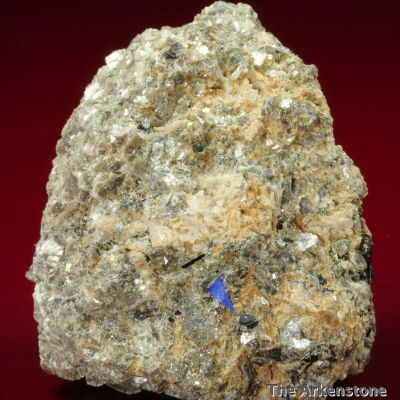 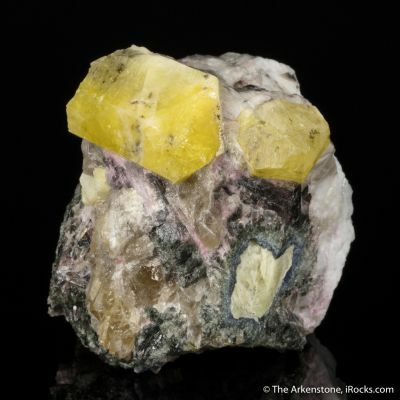 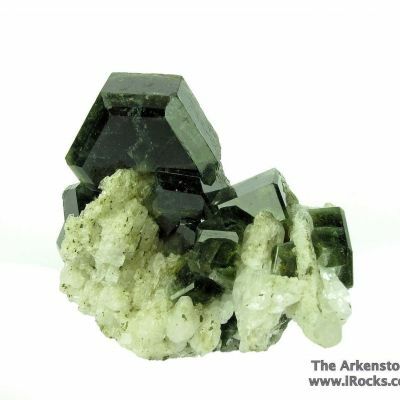 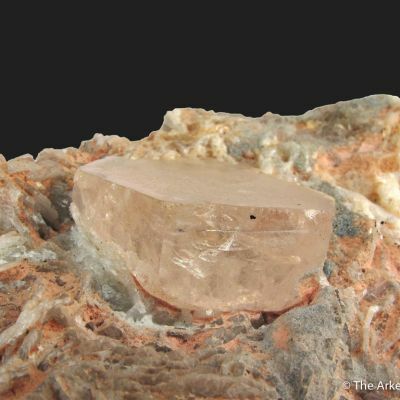 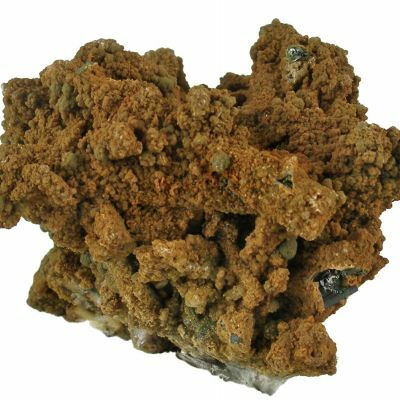 This superb gem is beautifully accented by cleavelandite rosettes on one side. 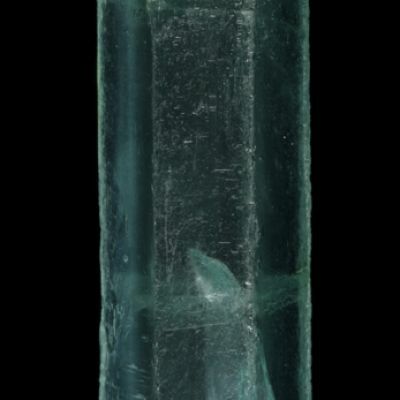 The upper two-thirds of the crystal is cutter quality. 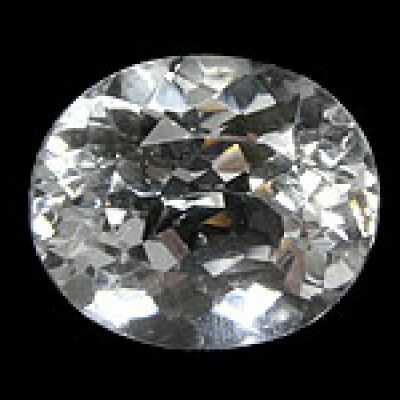 The striking, etched/frosted side faces are fabulously complimented by the complex, pyramidal termination. 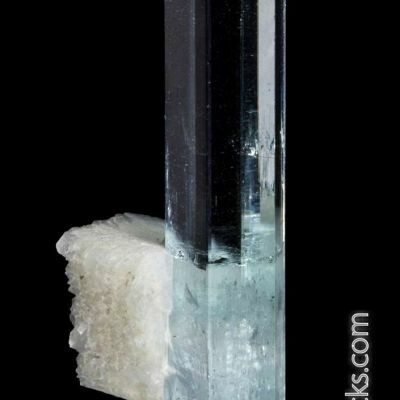 Very nearly pristine. 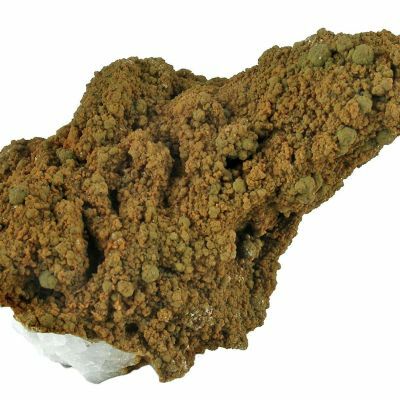 Overall it is a classic, highly desirable and very seldom available material from this noted locale.